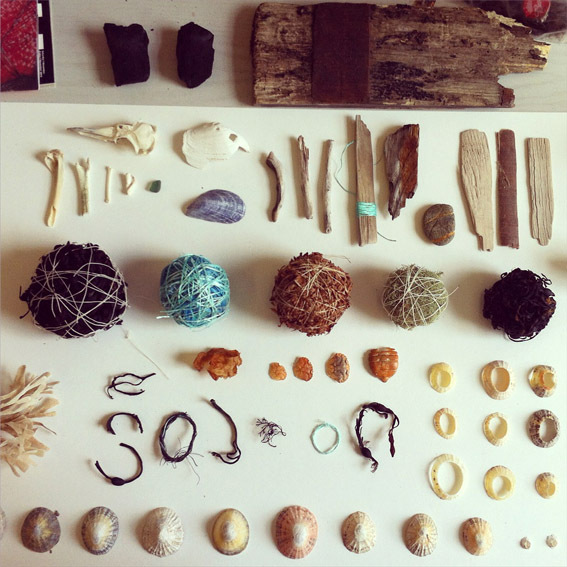 This entry was posted in beach, beach combing, beach rubbish, Coast, collecting, cooking, found objects, landscape, materials, process, seaweed, sorting, studio, thinking, travel, walking, weather by Alice. Bookmark the permalink. I’m fortunate to have washed up on a west coast beach, althought it’s in New Zealand. Only Tasmania interupts the roaring forties and the wind can rage for days at a time altering the line of dunes between the sea and my home. when the wind dies down and peace prevails I’m always eager to see what might have washed ashore (or down the stream) as pickings for my collection of beach treasure. Heart-stones, bones, beautiful worn wood, shells, and (happily) a few man-made objects. I’ll look forward to see how your collectionmakes itself present in your work. Wendy, I can’t help feeling terribly jealous of where you live! I often wonder how my relationship with the sea and the coastal strip would be different if I lived right by it. I grew up not far from the sea, but never right by it. I moved in land as an adult and I feel a pull often. Perhaps that is why my work keeps me on the coast. I keep thinking I’ll leave this stuff alone, but I can’t. 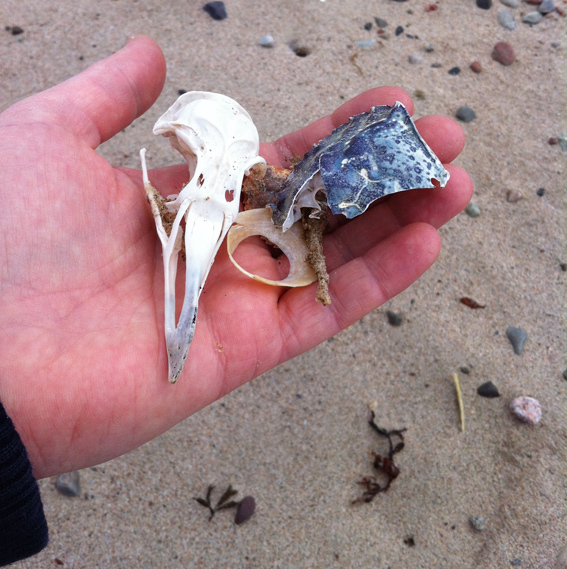 Childhood holidays on the Scottish coast got it well and truly under my skin. These places haunt me (in a good way). I do exactly the same thing and have just come back from my usual week up North West nr Arisaig. Tides were high and weather wet and windy (lovely!) but one day was so glorious I stayed out all day on the beaches finding driftwood, pebbles and glass to bring home. Why didn’t I go live there when I was much younger I will never know! But if you lived there Tricia would you still give it the same kind of attention?